A photo of myself with container number 62 of the first 100 containers of L’Huguenot wines that we are shipping to China. 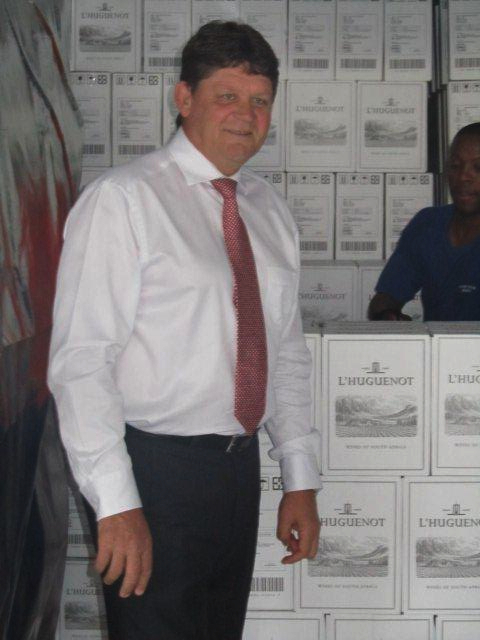 The L’Huguenot wine is produced for Perfect Wines of South Africa, a joint venture between Yangzhou Perfect of China and Leopard’s Leap Wines. To put the size of the deal into perspective, there are 2,200 cases of wine in a container and six bottles of wine in each case. That is 1,320,000 bottles of wine going to China in the 100 containers, with another 100 containers schedule for February 2012.